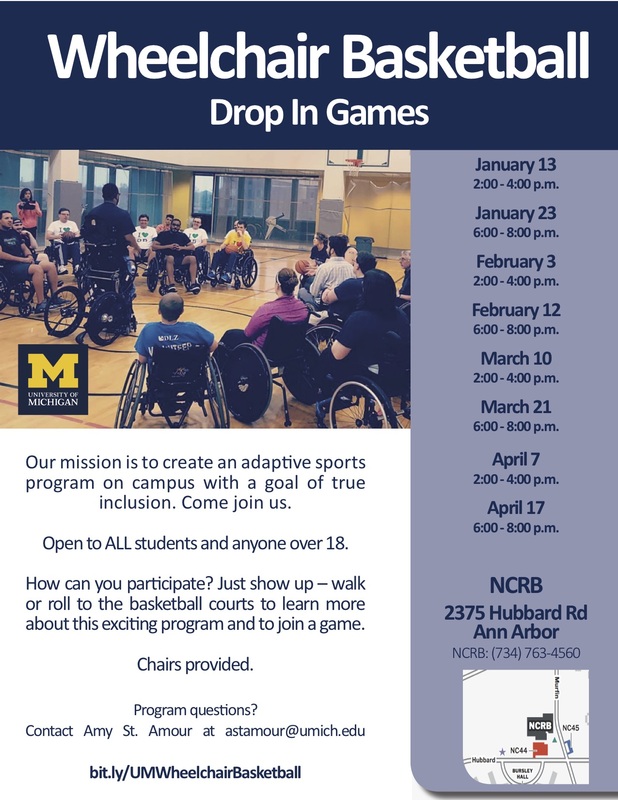 The University of Michigan is poised to initiate a top-flight adaptive sports program with an initial focus on wheelchair basketball. Our goal: Lead our state and nation by embracing diversity and providing new opportunities to student-athletes with disabilities. Open to ALL students and and anyone over 18. How can you participate? Just show up – walk or roll to the basketball courts to learn more about this exciting program and to join a game. Chairs provided.